Discover Your Potential…Learning For Life! Microsoft Courses that will boost your Knowledge & Skills. SDF Funding are available to Singapore Companies (For company sponsored candidates). Call +65 6296-2995 for Details. Excel for Beginners & Intermediate Level is best suited for people who want to get more out of Microsoft Excel and make the best use of the software in their day-to-day use. Learn Excel tips and techniques that will make you work faster, efficiently, and be able to do complex tasks in a matter of minutes or seconds. Understand how you can apply Advanced functions of Microsoft Excel to improve productivity, enhance spreadsheets with charts & formulas and streamline your work. Learn how you can automate common tasks, apply advanced analysis techniques to more complex data sets. You need to gather information about the various tasks involved, resources required to accomplish the tasks, and the overall cost in order to plan a project. Microsoft Project Professional acts as a tool that assists you in managing your projects. In this course, you will create and modify a project plan. 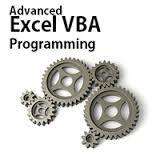 Learn Excel VBA 2016 / 2013 / 2010 easily with our step by step, practical, hands on workshop in Singapore. This Project Management Workshop is based on the Project Management Framework laid out by the Project Management Institute (PMI), in the Project Management Body of Knowledge (PMBOK). This is a universally adopted standard framework used world-wide, and is considered the most holistic, practical and effective way to manage projects. The greatest strength of this workshop is the hands-on approach, and a bubbly trainer,which makes the training session much more enjoyable- Changi Airport.